Wausau First Time DUI Attorney - Crooks, Low & Cronnell, S. C.
Do You Need an Attorney for Your First DUI? If you have been arrested for driving under the influence, you may be wondering if it makes sense to hire an attorney. For most people, this comes down to money. Is it really worth it to hire a DUI lawyer (or, in Wisconsin, an OWI lawyer)? The answer is, “yes,” and the reasons go far beyond the financial costs involved. 1. You Need to Request a Hearing to Protect Your License. First of all, when you get arrested for operating while under the influence (OWI) in Wisconsin, you could automatically lose your license for six months unless you request a hearing within 10 days. This is an administrative suspension, which means that (i) it starts before your trial, and (ii) you can lose your license regardless of whether you are actually guilty of OWI. An experienced OWI lawyer will be familiar with several defenses that can be used to avoid an administrative license suspension. 2. The Consequences of a First-Time OWI Conviction Go Far Beyond Fines and Loss of Driving Privileges. If you are convicted of a first-time OWI, the penalties include a substantial fine and six to nine months of driver’s license suspension. However, there are additional (and more severe) consequences of having an OWI conviction on your record. For example, if a background check reveals that you have been convicted of OWI, this could prevent you from landing a job or getting into school. As a result, a first-time OWI conviction could change the rest of your life. 3. A 2016 Law Change Makes a Fourth OWI a Felony in Wisconsin. Following a Wisconsin law change in 2016, all fourth OWIs are now felony offenses. If you get convicted of a first-time OWI, you are one step closer to facing a Class H felony which carries the potential for $10,000 in fines and six years in prison. 4. You May Have Defenses Available that Can Keep Your Record Clean. So, what can an OWI lawyer do to help? The fact of the matter is that there are numerous potential defenses to OWI charges in Wisconsin, many of which can protect you from conviction even if you were driving drunk at the time of your arrest. An experienced OWI lawyer will be able to assert all available defenses to either help you avoid conviction entirely; or, if necessary, negotiate for a reduced charge that avoids many of the consequences discussed above. Did You Refuse to Take a Breath Test? One final note: If you refused to take a breath test when you were arrested, you could be facing an additional charge, a 12-month administrative license suspension, and other additional consequences. 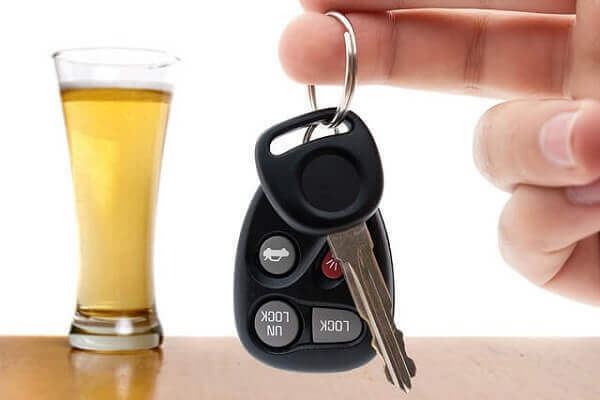 Under Wisconsin’s “implied consent” law, refusing a breath test is a serious offense, and it will be strongly in your best interests to speak with an attorney. If you are facing a first-time OWI charge in Wisconsin, the defense attorneys at Crooks, Low & Connell, S.C. are here to help. Call (715) 842-2291 or contact us online to schedule a confidential consultation today.